Nearly three and a half million people flew with Norwegian during September the airline has reported this week as new results for the month are released. This September's passenger totals show an increase of some 9% on last years numbers and represent a testament to the airline's global strategy for growth. The total traffic growth (RPK) increased by 31% in September driven by a 32 % capacity growth (ASK). 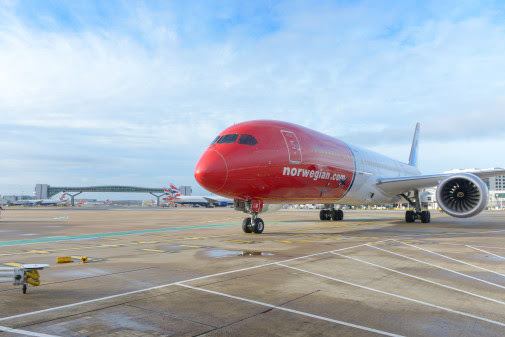 The load factor was 88.8% on the entire route network and more importantly, 92.4% on Norwegian’s long-haul routes. In general, the yield development is positive, but is negatively affected by the Swedish passenger tax and the fact that the company operates more longer flights than the same time the previous year. As the revenue per passenger kilometre is lower on longer flights, the company’s total yield falls as the share of long-haul flights increases. 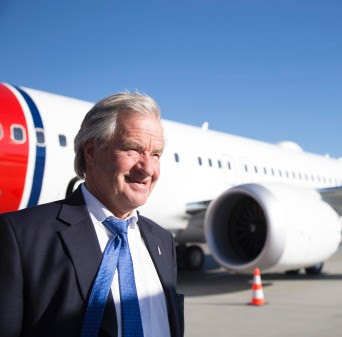 Norwegian operated 99.4% of the scheduled flights in September, whereof 80.2% departed on time, up 2.3 percentage points compared to the same month last year. Norwegian’s fleet renewal program continues in 2018. The company took delivery of two Boeing 737 MAX 8 and one Boeing 787-9 Dreamliner this month. In total, Norwegian will take delivery of 11 Boeing 787-9 Dreamliners,12 Boeing 737 MAX 8 and two Boeing 737-800 aircraft this year. With an average age of only 3.7 years, Norwegian’s fleet is one of the world’s “greenest” and most modern. The single most important action an airline can take to reduce its environmental footprint is to invest in new aircraft and new technology.